Each year, hundreds of library and information professionals from around the world come together in London in October to share their experiences of developing and promoting real-world library and info services. The first stage in the creation of the conference programme is the Call for Speakers which goes out in January. We’re looking for case studies, great stories, personal experiences and lessons learned -- and we love hearing about the ideas, strategies and practical implementations that info pros from around the world have put in to make a difference to their organisations. It doesn’t have to be a big project or something with a big budget. In previous years ILI delegates have been just as enthralled to hear about projects rolled out using free apps and tools, or using sticky notes and Lego, as they have to learn about the development of brand new services or even the creation of new library buildings. It's the story that's important. Delegates and speakers come from more than 30 countries and a wide range of library types – school library, corporate, government, research, academic, national – as well as non-library information settings. And we enthusiastically welcome proposals from info pros with little or no experience of speaking at conferences. If someone you know has a great story to tell then please encourage them to send us their idea. We'd love to hear from them! Most speakers present a 15 minute case study and we have lots of support available to make the process as straightforward as possible, plus an extremely friendly group of delegates and fellow speakers. Information in society –experiences of influencing, teaching, advocating, coaching, developing networks and encouraging communities. New content and the digital scholar –new ways with content and collections, new publishing models, and supporting scholarship. The new librarian –redefining and redesigning roles, teams and structures. Strategising the future – future scanning; strategic service and role design; visions for future libraries. Tech and tools trends – harnessing cutting-edge tech to create new services, reach audiences and deliver impact. Users and user experience –developing a deeper understanding of users and designing new products, services and spaces. 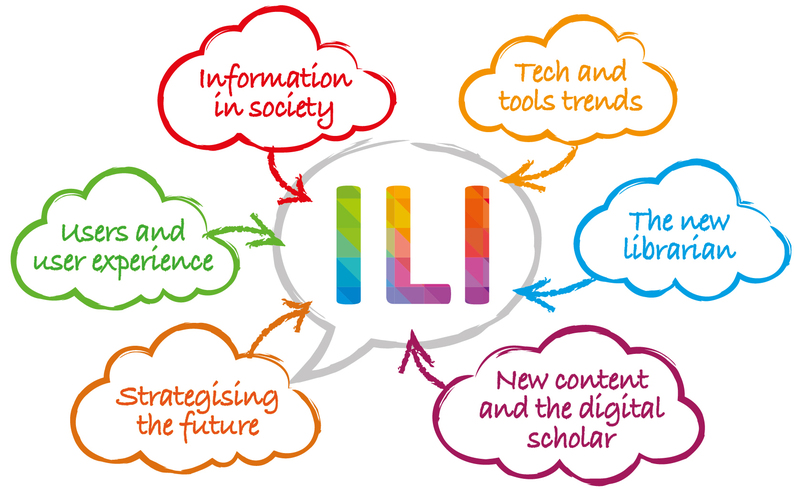 And there is also a ‘wildcard’ option – you may have an idea for a session which doesn’t fit into one of these specific categories but supports ILI’s ethos of ‘the library innovation conference’ – and if so we’d love to hear it! What happens once all the speaker submissions are in? The submissions deadline is 12 April 2019 and once all the proposals have been received, they are all reviewed by ILI’s international conference advisory committee -- and then the process of programme creation begins in earnest, as the committee starts to shapes sessions and tracks. If you've sent in a proposal, you'll hear back by the end of May. Primary speakers get a free registration to the whole of the ILI conference.